Although effective, content marketing is not always an available option. Maybe your legal department won’t approve the content you produce, maybe you don’t have enough to pay for a good content writer, maybe your field doesn’t leave much to write about, or maybe the higher-ups are reluctant to approve spending on something with a hard-to-quantify return on investment. Regardless of why you can’t engage in content marketing, it’s possible to improve your search engine optimization (SEO) through other means. Numero Uno Web Solutions has helped many companies boost their SEO rankings without the use of content marketing. Here are some of the methods that we’ve found effective in the past. SEO is improved when others link back to your pages. While content marketing is a good way of inspiring links, other methods are available. If you have any business partners or relations with other companies, consider a mutual link exchange where you each offer links to each other’s pages. For a more bold approach, look up the top 100 sites that Google shows for a given keyword. While some may be competitors, others won’t and it is these sites you can try contacting to ask for a link. Naturally, you will want to be diplomatic in your request and present a compelling reason why linking to your site can improve their own page. Even if only a small number agree, each will be a boon to your SEO. Consider social media partnerships as well for a more directed form of interlinking. There are a multitude of different factors that Google’s ranking algorithms take into account when establishing search results. One of the less thought about elements is how optimized your load times are. Users really hate pages that are slow to load, so improving your speed can get you ranked better and create a better reader experience overall. There are numerous ways to test your site’s load times. Making changes to improve your load times can take a few weeks to show an effect on your search rank, but there will be a definite marketing improvement overall. Not all high-traffic web sites get that way because of content marketing or social media networks. Although a successful utility can take more time and effort to build than a content page, they are more timeless and can reach broader audiences. Examples of good utilities to include on a site are calculators for different ratios or converters of imperial to metric and vice-versa. Both let people quickly look up useful information and can be applicable to numerous industries. Social media optimization is a marketing technique that goes hand-in-hand with SEO. By facilitating a presence on sites like Twitter and Facebook, you can encourage sharing and links back to your site without necessarily engaging in content marketing. Depending on the social media site, there are different techniques that can work. Twitter, for example, has a higher retweet rate when links are included and audiences are more responsive if you ask questions or share quotes. On Facebook, peak activity days are Thursday, Friday, Saturday, and Sunday, so centre your activity around those periods. In addition, consider contests that require a retweet of a particular Twitter post or giving a like to a Facebook page; both have been shown to improve response rates. Google tracks your click through rate (CTR)—how often people click on your site in a search result—and how often people hit the “back” button shortly after reaching your page. If these numbers don’t match the expected levels of your rank, your search priority can drop. To reduce your bounce rate and improve your CTR, consider surveys of your audience to find out what made them turn away from your content. By learning what they were hoping to find and providing it, you can reduce the rate of bounces and improve your SEO–part of marketing is understanding the customer’s needs, after all. You want a web site that looks professional and inviting, not one that drips with social media plugs and obvious marketing gimmicks. Building a responsive web site requires an understanding of what people coming to your page are actually looking for and designing accordingly. In addition, there are a few common irritancies that are best avoided, such as slide shows (a very bald-faced attempt to generate clicks) and auto-playing videos or sounds (annoying). Lastly, make sure your site is mobile-friendly; not only is this an important part of responsive content design, but Google places priority on mobile-friendly sites. Marketing is often best when it is focused. By optimizing your site content, you can more easily produce a targeted result. Part of this involves some restraint on keyword use; yes, keywords are important, but both Google and audiences will know if you’re clearly trying too hard, especially where titles are concerned. When in doubt, remember the K.I.S.S. principle: Keep It Simple, Stupid. Two direct and informative sentences will be appreciated more than a keyword-riddled paragraph. Also, don’t worry too much about keywords in your meta description, as Google does not consider meta descriptions in rankings. This frees you to turn the meta description into a call to action that encourages people to click through to your page. 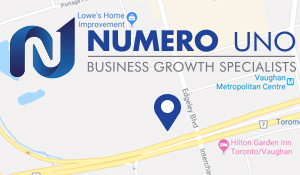 Numero Uno Web Solutions is a provider of SEO and content marketing solutions for businesses across all industries. We use these tips and more in our regular drive to produce quality SEO content for all customers regardless of their ability to engage in content marketing. Click here to learn more about our SEO techniques and how we can help improve your search profile.